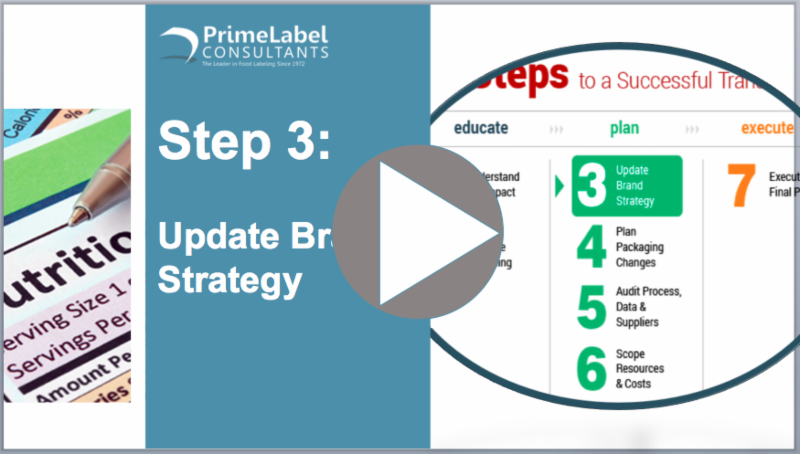 Welcome to the third issue of LABEL ALERT EXTRA - Update Brand Strategy, a practical implementation guide to navigating Nutrition 2016. If you haven't yet started, now is a critical time to start planning strategy. While the final rule is not yet out, we have our ear to the ground in Washington DC and anticipate its release before the Food Label Conference next month. Because the final rule will primarily be a subset of the proposed rule, any strategy you plan now will not go to waste. Feel free to forward this newsletter to your team members who will be instrumental to your success as you navigate this journey together. 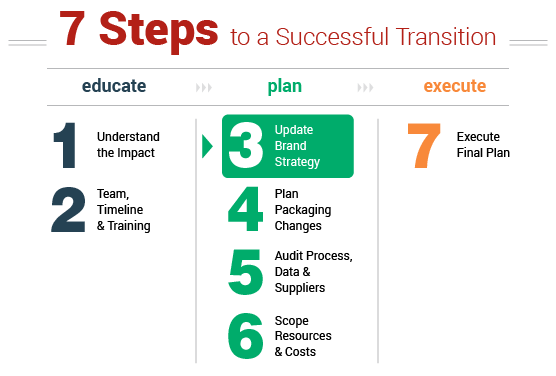 Be sure to read Step 1: Understand the Impact and Step 2: Team, Timeline & Training if you haven't already, and stay tuned for our 4th installment next month: Plan Packaging Changes.